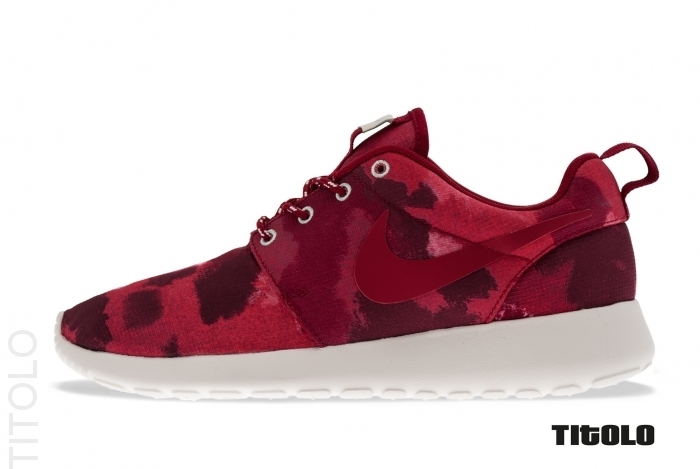 Another clean look for the ladies arrives in the form of this "Fusion Red" Roshe Run by Nike Sportswear. Creating a look of their own, this all new Roshe Run puts on display a series of red hue's in a unique camo-like pattern. Adding a nice touch and the perfect amount of contrast, we see white hitting the eyelets, lace detail and lightweight Phylon sole sitting below. The "Fusion Red" Nike WMNS Roshe Run is expected to hit select Nike Sportswear accounts next month.